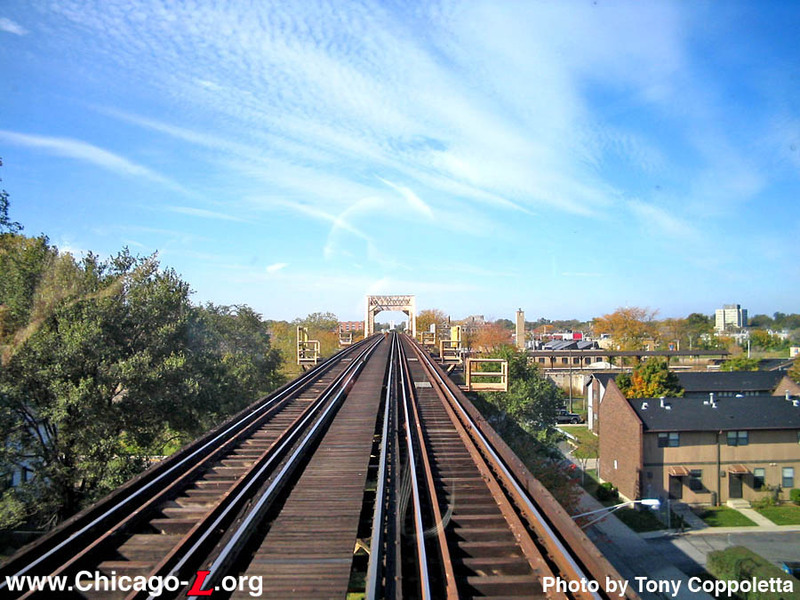 The Englewood Branch of the South Side Rapid Transit began construction in 1903. It opened in segments, beginning November 3, 1905 with a shuttle from the main line at 58th Street to State Street. By December 10 it was extended to Wentworth and Princeton (actually 61st Street) on January 11, 1906. The next segment to Harvard Street opened November 3 (the victim of a 226-day iron workers' strike). Parnell and Halsted to the west opened just in time for last minute Christmas shopping on December 24. By July 13, 1907, the rest of the line was opened to its terminal at Loomis Blvd. Parnell station was designed by architect Earl Nielson and built by the American Bridge Company of New York. Like many Englewood stations, it had a mezzanine level station house even though the right-of-way beneath the structure was not used as a public thoroughfare. Four stairways, two on the north side and two on the south, led from the street level up to the mezzanine. The mezzanine station house's design was unremarkable and functional, with little architectural style to its execution. Measuring roughly 25 feet by 35 feet, it was constructed of wood on a steel structure. Its interior was simple, containing an agent's booth built into the wall, a porter's closet, and a restroom. From the back of the mezzanine two stairways led to each of the station's dual side platforms. 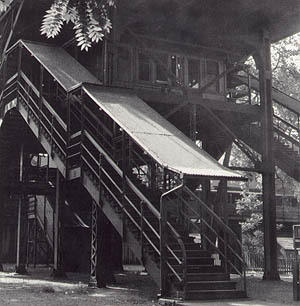 The platforms were typical of those on the Englewood branch, with wood decking on a steel structure. The canopies were supported from the back of the platform, with steel arched supports and latticework along the back and a hipped corrugated metal roof. Railings were simple and without ornament. The Parnell station was adjacent to the Chicago & Western Indiana Railroad's 63rd Street station, sometimes also called the "Little Englewood" station. Although the C&WI's station fronted onto 63rd Street, there was also an enclosed pedestrian connection from the Parnell "L" station to the steam railroad's facility. The station was also about a block and a half from the "castle" of infamous serial killer H.H. Holmes at 63rd and Wallace, although the "L" station and Englewood branch were not built until about a decade after his reign of terror during the Columbian Exposition. Parnell station survived into the CTA's reign, but was one of 23 stations closed July 31, 1949 as part of the North-South service revision and institution of A/B skip stop service August 1.